DIRECT FROM CUBA DISCOVER THE UNIQUE VOICE OF AUTHENTIC CUBAN MUSIC AND BOOK THE BEST CUBAN GROUPS IN THE WORLD! DISCOVER THE UNIQUE VOICE OF AUTHENTIC CUBAN MUSIC AND BOOK THE BEST CUBAN GROUPS IN THE WORLD! Tribute to Buena Vista Social Club is back at Drom for 3 nights February 12, 13 & 14th, 2016. Click HERE for more information! 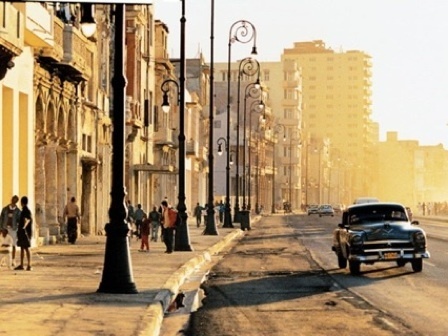 Nothing compares to the virtuosity of Cuban musicians and the spirit of the Cuban people. This combination has lead to music that is constantly evolving whether it be Salsa, Timba, Jazz or Afro-Cuban. In Cuba, being a musician is the highest honor one can hope for, which is why music students usually go to conservatories on par with the Julliard school and study as early as age 5. Similar to classical musicians all over the world with a few exceptions. The first exception is that they study classical first no matter what kind of genre they are interested in. In their early years they practice other genres in the street or at home. This classical base is what sets them apart when they graduate and becomes a solid base to play other genres. Secondly, they are usually required to learn other instruments and sometimes learn how to play more than two. Therefore a Cuban musician who plays piano and plays timba (modern Cuban salsa) in top bands such as Pupy y los que son son and Charanga Habanera can easily play any type of music with unbelievable virtuosity. Recently, several fantastic Cuban groups have come in such as Los Van Van, Charanga Habanera, Septeto Nacional and Omara Portuondo, who even attended the Latin Grammy awards. These groups have recently sold out shows on the east and west coast of the US and have highlighted the true demand there is for Cuban music and culture here. At Direct From Cuba, we invite Cuban musicians who live in Cuba and the United States to come and share their expertise, warmth, and amazing spirit with us.